Here's one forwarded email to me by who else but a FRIEND. It's short but sweet as it accurately describes the friends that we meet in life...I mean, real friends. Those who stuck with you through thick and thin. I'm glad I found such friends who believe in me no matter what. So this is for you out there who have what we call "Friends Forever"! 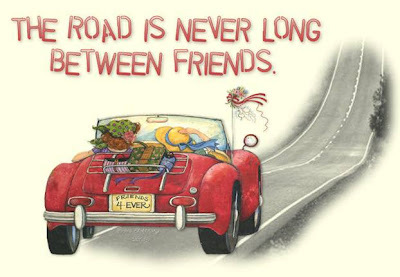 the road is never long between friends.. I like that! very true.